I’m not a fan of gambling in any fashion and even a number of states that have had lotteries for years don’t have vending machines. Why do we need them in Arkansas? The Arkansas Lottery Commission plans to roll out 100 lottery ticket vending machines across Arkansas. Between now and August 13th, they are accepting public comments on the vending machines. This entry was posted on Thursday, July 29th, 2010 at 9:01 PM and is filed under Commentary. You can follow any responses to this entry through the RSS 2.0 feed. You can leave a response, or trackback from your own site. One Response to LOTTERY VENDING MACHINES? When Arkansas was approve by the voters and the Arkansas Legislative approve the lottery they knew what was in the contract when Intralot won the bid for the games. So the family council need expected it. The family council isn’t the first to oppose a lottery. 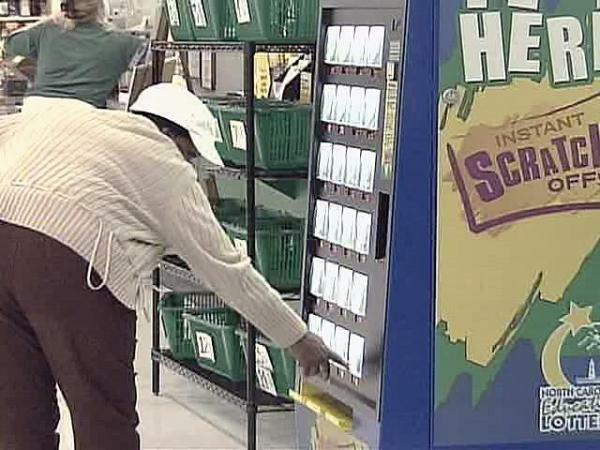 The other 43 state lotteries went through the same thing with some group trying to appeal their lotteries and they probably won’t be the last if Nevada, Alabama, Mississippi, Hawaii, Wyoming, Alaska, and Utah gets a lottery.